One of the Youth days on the Plock of Kyle – a result of the voluntary work of the people below; our Trustees. First came to Kyle approx 40 years ago when working offshore as an Offshore Project Manager overseeing projects involved with the development of the offshore oil industry using ROV’s. 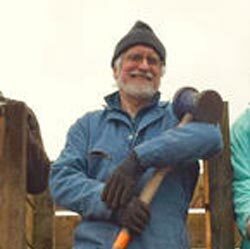 Retired from working Offshore 13 years ago (2005) and have since been involved with Kyle Community Council and more recently with Kyle & Lochalsh Community Trust. As the saying goes the rest is history. Retired from HIE in 2016 after working for almost 10 years in the Community Assets Team supporting community groups who wished to purchase land and other assets for their community. 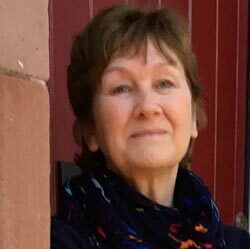 Before moving to HIE, Pam worked for Highland Council in Kyle Library and then Broadford Library and Service Point. Pam is an individual member of SLCVO, a Trustee of Urras na Drochaid, and a Director of the Community Woodlands Association. Originally from New Zealand, Marie moved to Kyle in 1991 where she has worked in various sectors including 12 years at the Kyle Hotel, latterly as a manager. In 2007 she retrained and currently works as a Registered Dental Nurse at a local practice in Kyle. She is Secretary of KLCT and a Director of KLT. Murdo lives locally and as Trustee is an invaluable member of the team. 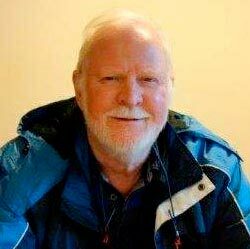 Derek worked for Highland Council as a teacher of Physics and Science at Plockton High School from 1980 to 2013. He first became involved with the Trust as a conservation volunteer on the Plock of Kyle in 2015 and has since become involved with Kyle Gardening Club. A keen photographer, Derek has a lifelong interest in tree planting and rhododendron control, is an individual member of the Community Woodlands Association, and is a member of the Institute of Physics. Siobhan grew up in the West Coast of Scotland and went to Plockton High School. She is currently studying Countryside and Environmental Management. 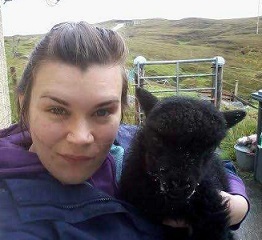 Siobhan takes an active role in youth work in the Lochalsh area and is also trustee for the Lochalsh Youth Community Trust. Originally from Tain in the North East of Scotland, Marc moved to Kyle of Lochalsh several years ago to manage the local Co-op branch. With his business knowledge and interest in community development, Marc hopes to involve the local Co-op and its staff to create positive change in the local community.